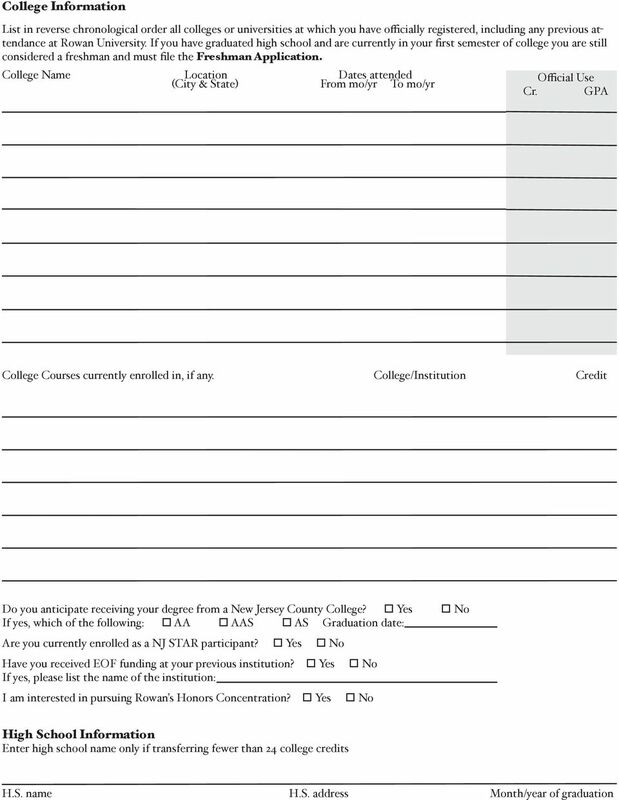 Download "Transfer Application for Admission 2016"
2 Transfer Application for Admission 2016 Transferring Credits If you are interested in transferring to Rowan, two online resources can help you determine which of your courses may transfer for credit: NJTransfer.org is a website for students in New Jersey who want to review course equivalencies for two-year to four-year colleges statewide. 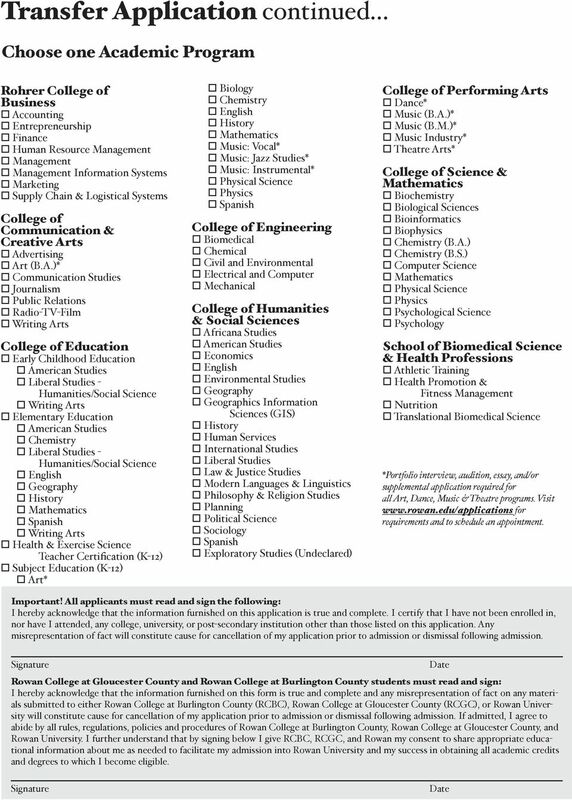 is the Rowan website for transfer students offering information about credential evaluation and course equivalencies. Students with questions about specific course or advisement issues can for further information. If you are accepted for admission, the Registrar and the academic department for your intended major will complete a credit evaluation for you. 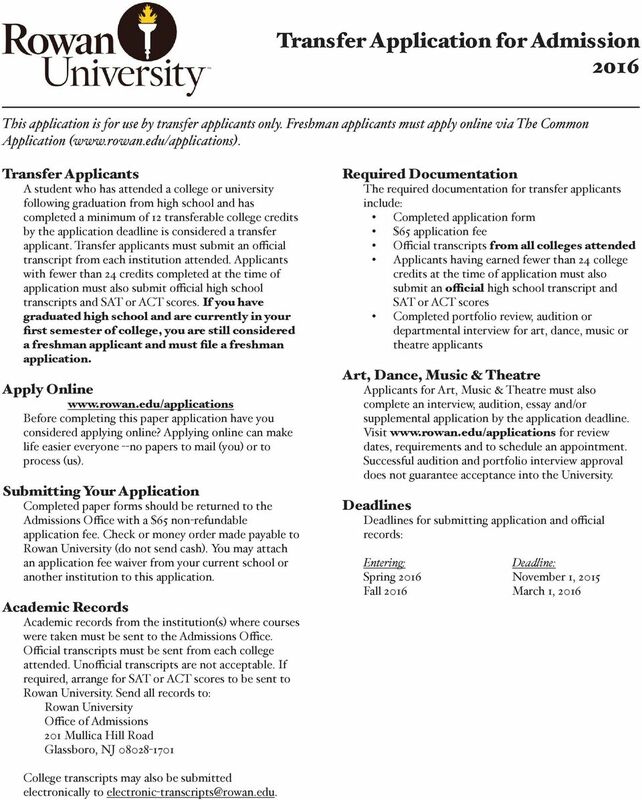 Shortly after you receive your acceptance package, you will be able to view your evaluation online. An adviser in the department of your intended major will be able to answer your questions about transferring any credits completed at another institution. Financial Aid & Scholarships Transfer students are eligible for financial aid. 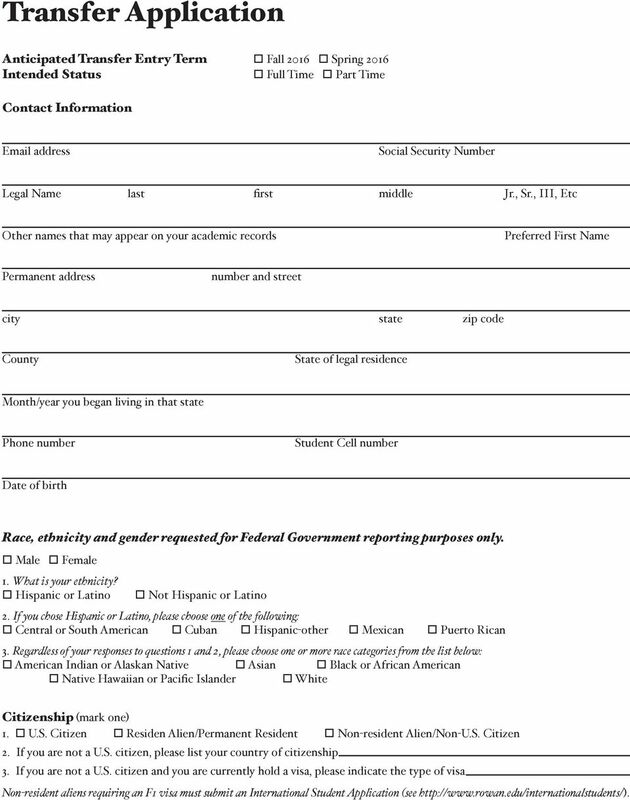 To qualify, you must file the Free Application for Federal Student Aid (FAFSA), a form available through your current college s financial aid office, Rowan s financial aid office, or your local public library. The FAFSA also may be completed and filed via the Internet at We encourage you to apply for financial aid regardless of whether or not you feel you are eligible. More information is available online at financialaid. 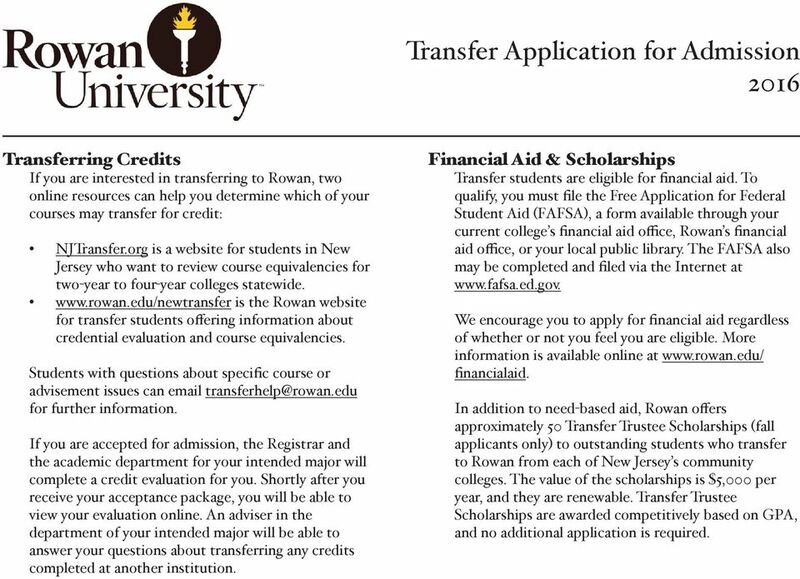 In addition to need-based aid, Rowan offers approximately 50 Transfer Trustee Scholarships (fall applicants only) to outstanding students who transfer to Rowan from each of New Jersey s community colleges. The value of the scholarships is $5,000 per year, and they are renewable. Transfer Trustee Scholarships are awarded competitively based on GPA, and no additional application is required. Executive MBA Promoting a New Generation of Leaders Application for Admission California State University Stanislaus Application Procedure EMBA The following are required for a complete application: 1. Temple University 2013 2014 Freshman and Transfer Application Office of Undergraduate Admissions (041-09), Philadelphia, PA 19122-6096 Applying to Temple University The best way to apply is online at www.temple.edu/undergrad/applying.